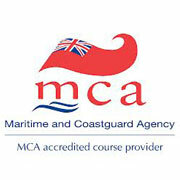 The British Maritime and Coastguard Agency (MCA) was the first government organisation world wide to introduce, through legislation, a comprehensive set of rules covering the design, construction, operation and manning of super yachts. Other countries have followed suit and have used the MCA legislation as the basis for their commercial shipping registers. For you, as a prospective crew member in this exciting industry, qualifications recognised by the MCA and provided by PYT are essential for your employment opportunities. They are well known and understood in the industry and meet the minimum standards required on board. Have logged the qualifying experience relevant to the particular certificate. Successfully complete the course which includes both theory and practical examinations. The courses may be taken before the above requirements are met but full compliance is required before Certificates of Competency will be issued. 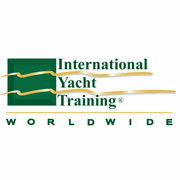 International Yacht Training Worldwide (IYT) is an international yacht training organisation providing training through training schools such as PYT. IYT Master of Yachts Coastal/Mate 200t. The IYT Master of Yachts 200t certificates are MCA compliant and widely accepted for the commercial operation of both power and sailing commercial yachts up to 200 gross tons. The qualifications are recognised by marine insurance companies worldwide as well as being accepted by all major yacht charter and management companies. IYT Master of Yachts qualifications are professional certificates of competency not recreational tickets with a "commercial endorsement". IYT Master's courses are designed to provide the highest standard of maritime education for professional yachtsmen/women who are serious about their yachting careers. 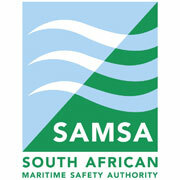 The South African Maritime Safety Authority (SAMSA) promotes South Africa's maritime interests and development and positions the country as an international Maritime Centre while ensuring maritime safety, health and environmental protection. 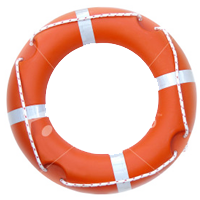 A number of courses including the STCW safety courses are provided by PYT in terms of regulations laid down by SAMSA. In addition, we are accountable for ensuring SAMSA conducts the required annual Local General Safety Certificate (LGSC) and hull inspections on our vessels. South African Sailing (SAS) is the recognised National Federation representing the interests of recreational sailing in South Africa for both Inland and Offshore waters. 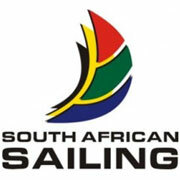 SAS promotes all aspects of the sport of sailing in South Africa and encourages excellence in it. SAS issues Certificates of Competence to individuals who have successfully attended their nominated course and passed the theoretical and practical examination components. PYT is authorised to provide courses on behalf of SAS. PYT is an accredited organisation in terms of SANS ISO 9001:2008 Quality Management System. (QMS). It was designed, implemented and has been entrenched in order to demonstrate our ability to consistently provide services that comply with student and applicable regulatory requirements. In addition, our QMS aims to enhance student satisfaction through the effective application of the system and the assurance of conformity to our students' and other interested parties. 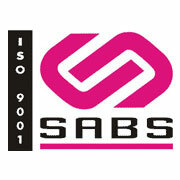 The South African Bureau of Standards (SABS) is the controlling body with regards to our QMS. SABS performs quality assessment audits on our QMS annually.